People are still don't know the value of jungle and their animals.they cut trees for minimum amount and they invite problems. no rains in these reason , season become hot day by day and animals searching food all over. 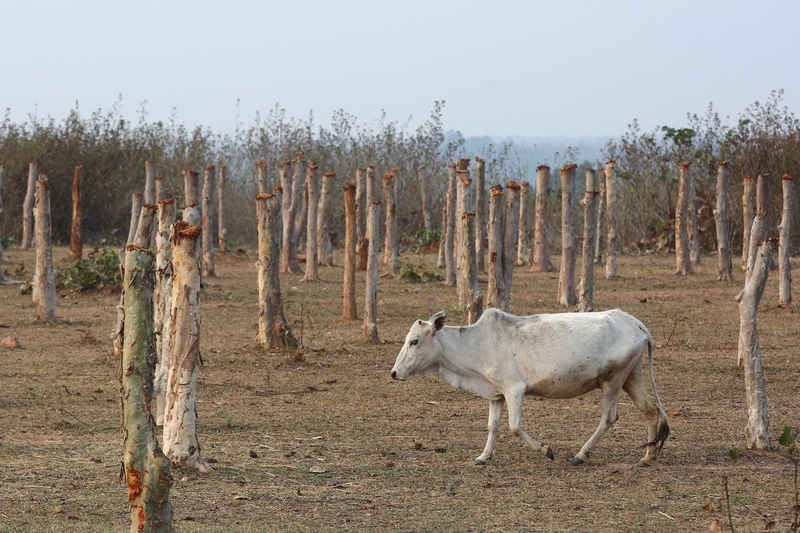 In this picture a cow searching food in a almost tree less jungle.